In today’s competitive business environment, individual high-level skills are valuable, but a synergetic effect is the key to success. At Monroe Personnel Service, LLC and Temptime, we take great opportunities to communicate our insights to each other. We do this by sharing ideas in meetings, taking time to show our appreciation for each other, and making our communication and teamwork more effective by really thinking about what we say. Marla Tabaka shares 4 important things to say for effective communication in the following article. We all make mistakes, say the wrong things, and misjudge a situation from time to time. But not everyone will admit their errors, especially in a competitive environment. I learned that very important lesson early in my career at NBC-TV. As the assistant to the vice president of sales I reported to an amazing mentor who relied heavily on my judgment and diligence. But on one occasion I had a terrible lapse in common sense and fell short of her expectations. I really screwed up. Naturally, my boss was livid. She immediately called me on the carpet for my error in judgment. My defenses reared up; my fight or flight instinct screamed, “Fight to survive!” Thankfully, in a moment of sanity I took a more sensible approach. Here’s what I said. I was wrong. I’m sorry. I know that I still have a lot to learn. Please let me fix it. Apparently, this reply from a young, ambitious employee was far from expected. I will never forget the series of internal responses reflected in my boss’s eyes: surprise, confusion, acceptance, and something that may have been admiration. Whew! In that moment I knew I’d done exactly the right thing. This experience taught me something I’ve carried with me through the years: a little honesty and humility go a long way in life. It enriches relationships, prevents unnecessary confrontation, saves time, and builds trust. What could have destroyed my career instead earned the trust of a powerful and successful woman and opened the door to growth, learning, and many promotions over the years. The next time your defenses are up you may find instant relief in one or more of these surprisingly effective, yet simple statements. Give it a try, the only thing you have to lose is a little ego! 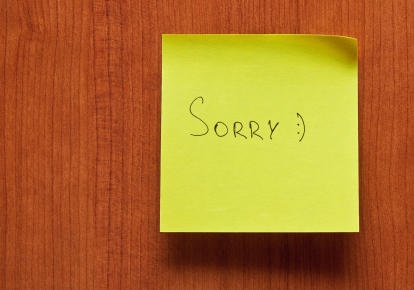 A short and sweet apology lowers the levels of resistance and anger in the room. Diffuse the situation with these simple words. The conversation will become less stressful and a solution to your problem or challenge is more likely to surface. Admitting your mistake is cleansing. No need to defend yourself, no need to create a litany of excuses. How freeing! Admit it and correct it. It’s that simple! Go ahead. Accept that you don’t know it all. A great entrepreneur surrounds herself with people who know more than she does. Reach out to your army of supporters and save yourself a lot of frustration and time. Do you think you have to have all the answers? Well, you’re wrong. Even “experts” don’t know it all. Any true expert will tell you is that no one is expected to have all the answers. Let’s face it, if we knew everything life would be boring! This is an opportunity learn and grow; something every entrepreneur loves to do! A lot of people feel nervous and afraid by job interviews. Because a candidate’s attitude is one of the most important factors for an interviewer to evaluate it is vital the candidate maintain his confidence and not let his nerves overwhelm him. Even if a candidates’ ability is not stellar, a positive attitude and confidence can invite a job offer. Employers want to see candidates at their best so they can get a clear read on whether the candidate can thrive in the environment their company can provide. Monroe Personnel Service, LLC & Temptime tries to make a relaxing atmosphere so candidates can express themselves fully in an interview, but it is not always easy for people to feel positive and confident. Here is an article we ran across recently which has some tips for setting yourself up for a successful interview. Remember, If you think you Can or you think you Can’t… You’re Right. Always think positive and feel better. If you will think about the thing that will go wrong then you will feel bad during the interview and lose your self confidence. To increase your self-confidence sit quietly before the interview and think about the positive things that are going to happen. Imagine yourself as a successful person. Pay a lot of attention to your body language. It is the posture which shows your level of confidence. Always sit straight and make good eye contact with the interviewer it leaves a good impression. 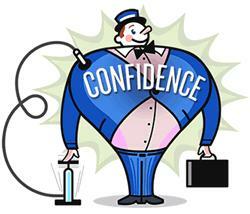 To be confident in an interview you must be aware of the subject you are going to give an interview upon. Read the stuff prior but do not over prepare. This helps in answering the questions for you can answer very easily if you have knowledge about the subject. Avoid repeating memorized sentences. It must not sound like you are too rehearsed. You don’t need to be word perfect but all you need is to have knowledge to speak about. Whenever you go for an interview try to be friendly with everyone you meet at the interview site. An interview begins with the very first contact you make there even if you meet a custodian at the parking lot. Then comes the receptionist, or the interviewer. The employer may seek opinion, of every person you met, after you leave. If you gave a short shrift to the receptionist or the custodian it may make you seem arrogant. Remember to shake hand with the person who will be interviewing you. It gives a positive impression and shows that you want to work there and are suitable for the job. Don’t let this happen. If you maintain a proper eye contact then it will give an impression that you are confident and will have acceptance for the other person. Lack of eye contact leads to the impression of mistrust and low interest. Sometimes a smile works a lot as an impression on the interviewer and is very powerful. A smile shows that you are well prepared and in a good mood. It also affects the mood of others and makes their mood good. A smiling person if felt warm and friendly and this put the right mood for conversation. Beside your posture and impression, the thing which matters a lot is the way you speak. This can make you misunderstood easily. If you speak in a shy and a low voice it can deter your impression. You must speak in an energetic and lively voice which sounds good and friendly to the interviewer. Make yourself understandable. Never give an impression that you desperately need that job. Be real and give the impression that you would have another chance to show your skills and work out with the complete ability of yours. Everyone has to start from somewhere so it doesn’t matter if the job is not exactly the one you wanted. Consider the recent job as best for you. Wait for a better chance that will make you shine. Monroe Personnel Service, LLC & Temptime, like many recruiters, receives a large amount of resumes from candidates every day, making it impossible to read all of them carefully. Even if a candidate has significant accomplishments in his or her career, that candidate could still be easily passed over. With such a high volume of resumes, getting a recruiter’s attention is the key to get a job offer. So how should candidates do this? 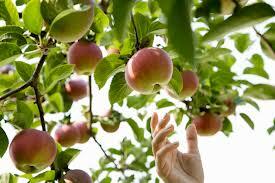 Chelsea Gladden raised pertinent tips in the following article. There it is: a stack of 150 resumes, received in the first hour of posting a job, piled up in the hiring manager’s email inbox. 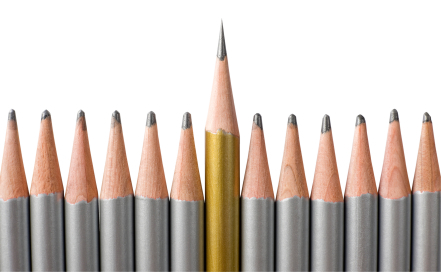 How will you stand out? These four tips for creating an effective, well-organized resume, should help you stay at the top of the pile and in the top of the hiring manager’s mind. For most positions, HR reps just want a resume they can read and that captures the skill sets they are looking for. Fonts such as Times New Roman and Georgia are your best bets for making it readable, as well as a 10- to 12-point size. Acceptable sans-serif fonts include Arial and Tahoma. Whichever your choice, make sure to stick to one to keep it presentable versus using a few different fonts that can crowd the page and make you appear disorganized. On the other hand, if you are applying for a creative position such as graphic design, your resume will likely be expected to bend the rules and show your creative pizzazz. Assume a hiring manager is going to skim your resume quickly, in 15 to 20 seconds, and will concentrate mainly on the top half (much like you might skim the headlines in a newspaper). They will want to see immediately that your experience is a fit instead of tossing out your resume to get to the next in the pile because they didn’t see that you are a match. Highlight your most relevant skills and experience first and then work your way down to other pertinent information. The following resume subheadings could be included: Contact Info, Summary of Core Qualifications, Relevant Work Experience, Relevant Volunteer and Other Experience, Education and Honors & Awards. Resumes are not just a showcase of your experience and skills, but also of your personality. Speak with confidence and ease when describing your accomplishments. Try to come across as friendly and open, professional but personable, and super-knowledgeable in your field to add depth and interest to an otherwise rather boring document. Again, go for a resume that will be easy on the eyes and is formatted well, with plenty of white space. Attempt to keep it to one page (or two pages if you have more than five years experience in your field) and be absolutely certain there aren’t typos or grammatical errors — these will instantly land your submission in the trash. Be sure to review your resume often and make changes and updates as needed. There’s nothing like a last-minute job application and an outdated resume that gets a too-quick scrubbing instead of an in-depth cleaning to derail your chances at being hired. Though you spend hours on your resume to stand out, hiring managers just want to be able to easily weed through their very large pile as quickly as possible. Sending in a clean resume that gets straight to the point will be your best bet at landing the interview. Monroe Personnel Service, LLC & Temptime strives to recruit the best employees in the market, regardless of their age. However, as Baby Boomers approach retirement, members of Generation Y, now in their 20s to early 30s, are becoming an increasingly important part of the recruiting pool. Generation Y is looking for different things in their careers than the Baby Boomers, or Generation X. In order to recruit and retain the most qualified employees from this younger generation, it is important to address these differences. 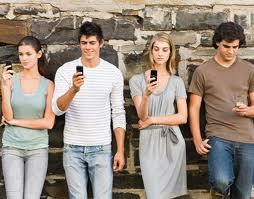 Here’s a look at 7 secrets for recruiting Gen Y-ers. Work life balance is more important to this generation than any other generation before them. These professionals want to work hard – but they also want to enjoy life and spend time with their young families. So offering a flexible schedule or the option to telecommute part-time will go a long way in recruiting this demographic. It doesn’t seem like that long ago that computers and the Internet made their way into work environments. And today’s young professionals expect nothing less than the best when it comes to technology. They’ve grown up with it and place a high value on it in the workplace. Gen Y-ers want support and guidance on how to advance their careers, especially in those important first few years. They were raised in a bubble of constant praise and recognition from their families and constant positive reinforcement and recognition is something they expect. So offering a coaching or mentoring program will certainly appeal to them. They do seek out employers that have a plan for their success. Employers should examine and create new ladders to guide younger workers through a steady progression in the organization. Many times, when young professionals quit and move onto greener pastures it is because they don’t feel challenged in their positions. They also tend to get bored easily and seek out new things. So if you think one of your younger employees is up to the task, then offer them a chance to prove themselves with added responsibility and challenging assignments. Also, study after study show that Gen Y-ers have an extremely strong entrepreneurial focus. Employers should develop intrapreneurship programs and opportunities so as to retain workers longer. Jeans and t-shirts are not necessary, but young professionals prefer a work environment in which they can wear comfortable clothing that expresses their individuality, instead of buttoned-up. Besides being more relaxed, Gen Y-ers find workplaces that are family friendly incredibly important. Gen Y-ers view having strong friendships with co-workers and bosses as extremely important to them. There is much anecdotal support of workers staying longer in jobs simply because they loved the people they worked with — and did not want to leave them. Management styles must be Theory Y for Gen Y. Consider too a formal or informal organization-wide mentoring program. Gen Y-ers — especially younger ones fresh out of college — have more debt (both student loans and credit cards) than any previous generation, and they demand a salary that not only recognizes their contributions, but also helps them pay down the debt. Some employers even have programs in place to help these workers pay off student loans. This list was compiled from “5 Secrets for Recruiting Gen Y Workers” by Adams & Garth, and “How to Recruit, Hire, and Retain Best of Gen Y: 10 Workplace Issues Most Important to Gen Y” by Randall S. Hansen, Ph.D.
Monroe Personnel Service, LLC & Temptime has been coaching candidates to shine during job interviews for years. Today we are sharing strategies for great interview techniques in the last installment of our Interview package series. This article offers a technique to help the candidate relate their abilities to the needs of the company to which they are applying. Increase your chances of receiving a job offer by incorporating the following suggestions into your interview preparation. Good luck & Happy job hunting! The following is a formula that should increase the probability of a job offer. This technique, as a game of chess, has three stages: beginning, intermediate and end. Setting the stage of a good interview is a critical step. It sets the precedent for the dynamics of a future business relationship. It is generally best when the tone of the meeting is light and up beat. The mention of a non-controversial topic such as the weather, the facilities, etc. should break the ice. From that point on, allow the interviewer to take the initiative and carry the conversation. At that time, make your assessment of the interviewer. Determine how articulate, technical, bright, etc. he/she is and maintain a continuity of dialogue with him/her. Are the chemistries of the potential manager and the employee compatible with one another? Is the candidate technically qualified to do the job? What is the candidate’s intermediate and long-range potential with the firm? What kind of benefits package does the company offer? The first thing to be discussed should be technical qualifications. In most cases the candidate’s background is more diversified than the responsibilities of the position require this point, inductive logic from the specific (job responsibilities) to the general (candidate’s background) should be applied. At that point, the employer will give you an insight into what you will be required to do on the job. While he is giving you this information, you should be making notes of your past education, experience and achievements and relate them to his description. When he is finished describing the position, you may have to ask further questions for clarification. Your reply at this point is most crucial during the interview. Your ability to articulate, communicate, and detail past experience and performance are the litmus test of technical ability, and that, in fact is the commodity the employer is seeking to obtain. Your inability to convey your technical abilities at this time may diminish your chances for an offer if communication skills are a strong requirement. You have not committed to anything in asking to pursue the position. You have just let the interviewer know of your level of interest in your voice. This is just a guideline on how to successfully handle the interview process. There are really no hard and fast rules, just suggestions. Make sure you communicate your feelings to the interviewer, in order that they may give the company immediate feedback. If you follow these guidelines, your ratio of offers to interviews should increase and after all, isn’t that what it’s all about? Last week Monroe Personnel Service, LLC & Temptime posted pointers for phone interviews. Today we offer a list of questions a candidate may be asked, a list of questions which will not be asked but should be answered and a list of questions a candidate may want to ask. Next week we will go into depth about interview techniques. If Temptime sends candidates out for interviews we prepare them. We welcome interviews as invigorating opportunities for a meeting of the minds. 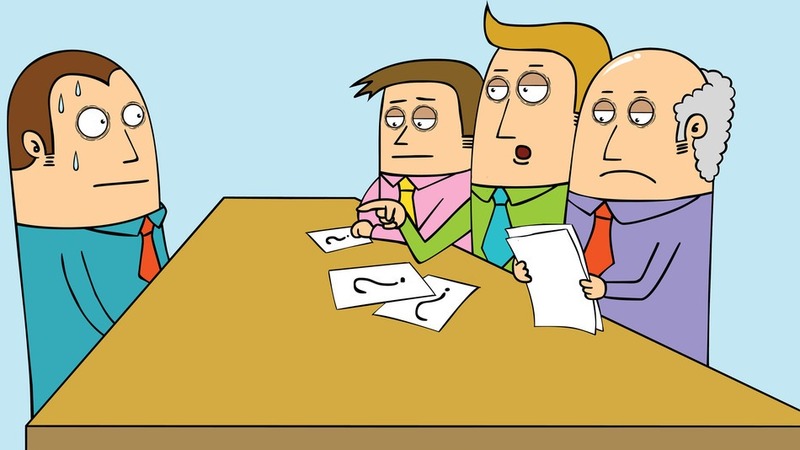 These are some of the most general questions that employers ask candidates during an interview. The more prepared you are the better your answers will be. 1. What would you consider to be your major accomplishments at your present position or previous positions? 2. What are your major strengths and weaknesses? Why should I hire you? Why do you want to work here? 3. From what you know of this company and the position, why do you feel you are a good candidate for this job? 4. Professionally speaking, where do you see yourself in three to five years from now? 5. What aspects of this job do you feel will be most challenging? 6. How long do you think the challenges of this job will interest you? 7. Why do you want to leave your present position? Why did you leave previous positions? 8. What are your salary requirements? What was your previous salary history (when entering and leaving)? 9. What are your computer skills (hardware and software)? 10. What criteria would you use in evaluating your subordinate’s performance? 11. How would you deal with a subordinate who does not appear to measure up to increasing demands of the job; whose motivation and performance are declining; who seems under personal stress? 12. What are your hobbies? 13.How do you deal with stress, tension and boredom? 14. What does your company do (sales, service, revenues)? 15.Who are your customers (where does your work go)? These are the subjects that all employers wants to know but generally doesn’t ask. Answer these by providing positive examples in the questions they do ask you. 7. Are you a dedicated individual? 9. Are you good at asking questions when you don’t know or are unsure about something? This is a list of some questions that you as a candidate might consider asking. There are two major reasons why you should ask questions during the interview: 1) to find out more information about the company, the position and the employer, which can help you decide whether this is the right job for you, and 2) impress the interviewer by asking the right questions. 1. What, specifically, are the day-to-day responsibilities of this position, and which are most important? 2. In what manner will we interact on a regular basis? 3. How do you like to operate in terms of assignments/delegation of responsibilities? 4. What kind of person do you feel is best suited for this position? 5. What are the company’s goals – short-term and long-term? 6. What short and long term problems/frustrations do you think exist for the company? For your department? 7. What do you hope I would accomplish within three, six, twelve months? 8. What do you perceive as the major challenges/rewards of this position? 9. What are the strengths and weaknesses of the subordinates? 10. With whom will I be interfacing most frequently and what are their responsibilities? 11. What are the limits of my responsibility and authority? 12. What particular things about my background, experience and style interest you – make you think I’ll be successful? 13. What opportunities are there for growth in my area of responsibility and advancement in the company, on what kind of timetable, 2-3 years from now? 14. How long have you been with the company and what do you find most satisfying?